This is a sponsored post written by me on behalf of Butterfinger. All opinions are 100% mine. With Halloween coming up, what better way to celebrate than by throwing a Halloween party, right?!! I used to think Halloween was all about kids dressing up and getting candy, but the older I get, I realize adults too can have fun! Dressing up, decorating the house, making spooky treats, and more! This Halloween, I decided to make a themed trifle to help get my family in the Halloween spirit. Since there are so many different varieties of trifles, I went to my local grocery store and decided to browse the candy aisle looking for inspiration. 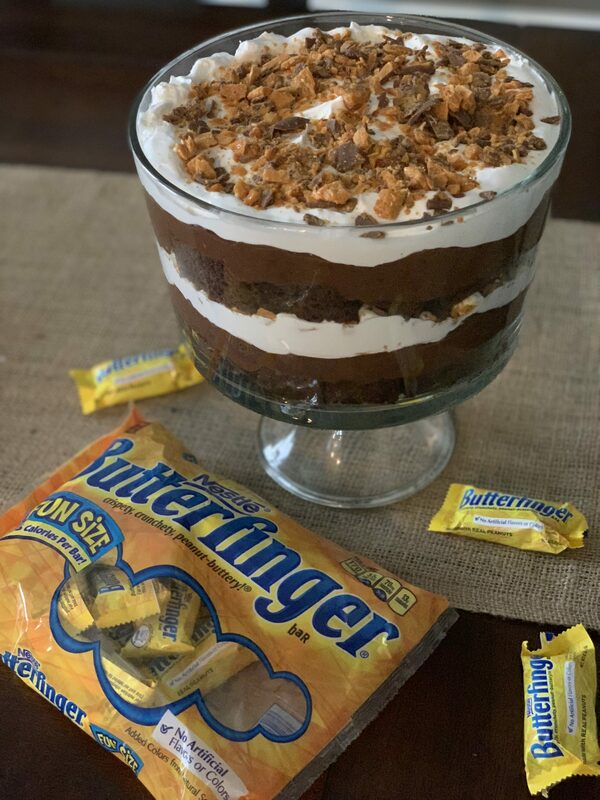 Butterfingers happen to be my hubby’s favorite candy too, so I knew he would especially love the trifle! If you’re a peanut butter fan, these candy’s are the perfect treat for you. Crispety, crunchety, and peanut buttery….all in one milk chocolate covered candy treat! What more could you ask for, right?!?! This trifle came together in no time! 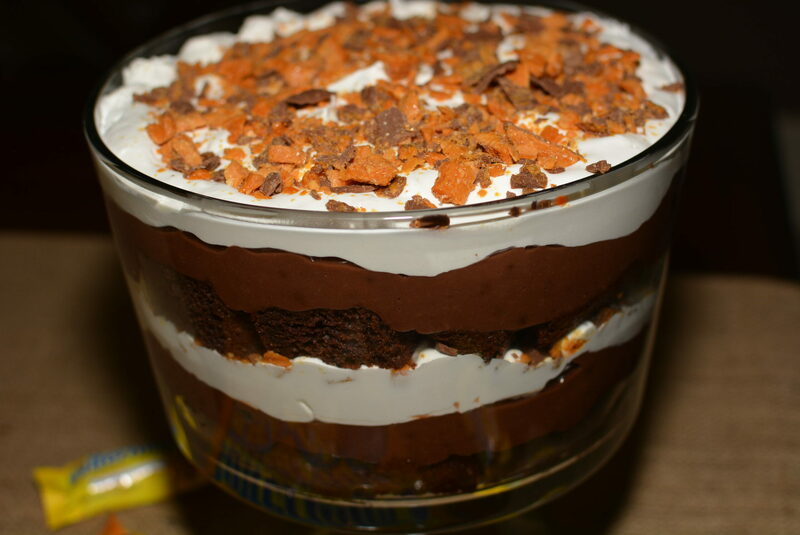 I layered cake, pudding, cool whip, and lots of tasty Butterfinger pieces! Not only did it look quite festive and “almost” too pretty to eat, but it was the perfect sweet treat to get us in the Halloween spirit and ready for trick or treating! If you’re throwing a party, having friends/family over, or simply trying to WOW your family, this trifle is just the thing to make! 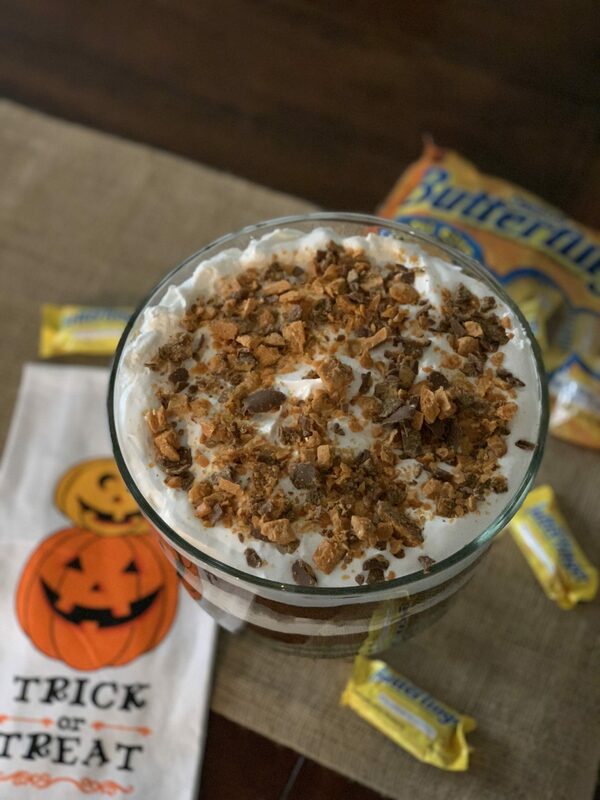 You can play some Halloween games, complete a spooky craft, have a costume contest, and then end the evening enjoying this sweet, Butterfinger filled dessert! Each layer in this trifle would be enjoyed by itself, but once the layers are combined, it creates a mouthwatering dessert that will not only be the hit of the gathering, but will be something people are talking about all evening! Prepare cake according to package directions. Allow to cool completely. Prepare pudding according to package directions, set aside. 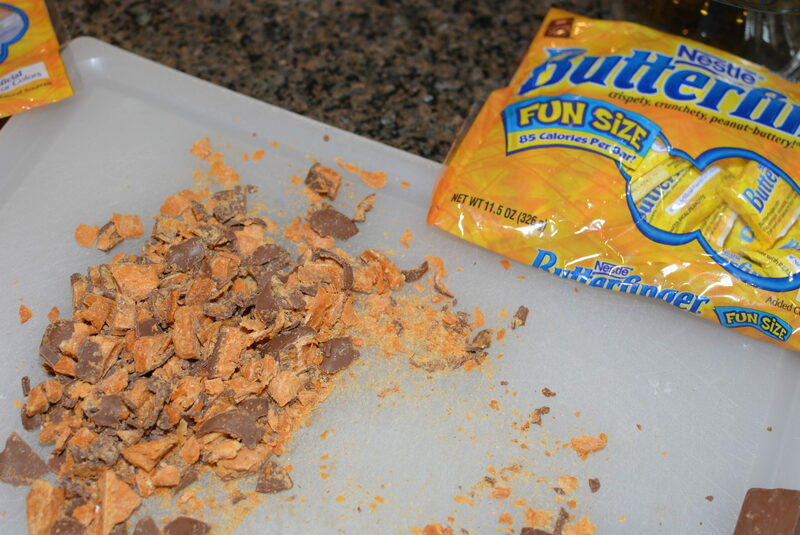 Chop Butterfinger candies into small pieces. Cut cake into small bite size pieces. To assemble, layer half the chopped cake into bottom of trifle bowl. Add half the pudding mixture and spread to coat. Spread half the cool whip onto the pudding. Sprinkle half the chopped Butterfingers on top of cool whip. Continue pattern making sure to end with remaining chopped Butterfinger. 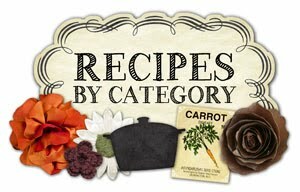 Store in refrigerator until ready to enjoy! First thing I would do is eat one, or two!! 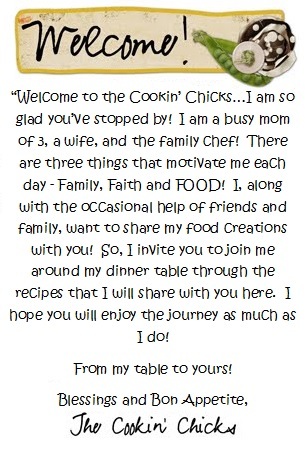 Then make something scrumptdilliumptious with the rest! I’d put them in a bowl in my work’s breakroom to share the joy! 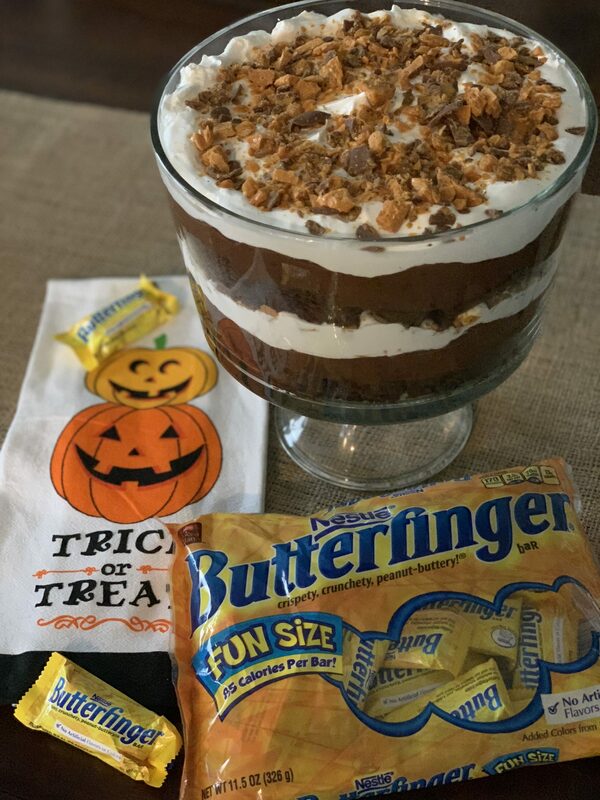 Make the Spooky Butterfinger chocolate Trifle and a chocolate butterfinger cake. Then eat what’s left. I would open up one of the butterfinger bars and eat it.